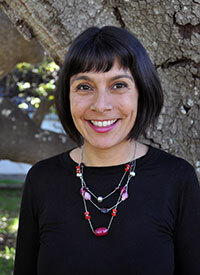 In this week’s Just Talk, John Rogers sits down with Veronica Terriquez, an Associate Professor of Sociology at the University of California, Santa Cruz, to discuss the civic engagement of youth from immigrant families. Dr. Terriquez’ research examines youth transitions to adulthood, civic engagement, social inequality, and immigrant integration. She currently serves as the Principal Investigator for the California Young Adult Study and the Youth Leadership and Health Study. Dr Terriquez also has extensive experience working as a community organizer and volunteer for various education reform, immigrant rights, labor rights, and racial justice efforts. John Rogers: Veronica, in our tumultuous political moment, we are hearing many commentators talk about a deterioration of civic life—greater incivility, misinformation, and disengagement. Your research points to a very different story about young people who are the children of immigrant parents, and who demonstrate extraordinary engagement and seek to contribute to their community and broader society. Can you speak to the narrative that comes through in your research, which is so dramatically different from the dominant narrative regarding the children of immigrants as disengaged, lacking civility, and alienated? Veronica Terriquez: There’s a segment of the young population here in California and elsewhere that is very civically engaged, and exercising what I and my co-author May Lin call civic leadership. These are young people who want to address community concerns, and they know how to do it. Through high school youth organizing or other activist groups, some of these young people learned how take civic action while they were adolescents. They learned how to analyze social policies that either contribute to disadvantages or help improve their communities. They also learned how to conduct outreach to others—to their peers, their teachers, and their neighbors. They helped others understand both the problems and the potential solutions to issues affecting their communities. We rarely realize how important it is for young people to receive a robust civics education that empowers them to assume leadership roles in their communities. We need to enable young people to develop an analysis of how inequalities across race, class, gender identity, and sexual orientation intersect to shape problems and challenges they see around them. This, in addition to giving them opportunities to address these issues through policy changes, can equip young people with tools useful for civic leadership over the long term. During the 2016 election, for example, we saw adolescents and young adults across California trying to mobilize and educate young voters in low-income, immigrant, refugee and communities of color. As members of civic groups that were part of a new coalition called YVote, they acquired a deeper understanding of the historically low turnout among young voters of color and they learned how to persuade their peers to vote. Normally when we think about what civic education looks like, we picture students learning about the three branches of government in a high school US Government class. In your paper, you locate civic education in other places; in fact, you describe the 2006 immigrant marches as one very powerful site of civic education for many young adults today. In what sense did that moment promote civic education? In 2006, there was broad discussion and awareness of the Sensenbrenner Bill, and I think it forced immigrants, their children, and their allies to better understand how policy has a direct impact on their lives. At the same time, the mass mobilizations were empowering because they stopped the bill. The Sensenbrenner Bill further criminalized undocumented immigrants, and also criminalized people who support them, including those who rent to or provide services for undocumented immigrants. It could’ve even criminalized someone who gave a ride to an undocumented immigrant. It was such a punitive bill that it scared many undocumented residents, as well as the family members and friends of undocumented individuals. This bill had the potential to terrorize the community. But at the same time, there were very coordinated and broad-based efforts to get people to stand up and protest, thanks to a well-connected civics infrastructure. The 2006 immigrant rights marches represented the potential of a collective response to punitive immigration policies. What do you mean by civics infrastructure? As research by Kim Voss, Irene Bloemraad, Taeku Lee and their colleagues has demonstrated, there were a range of civic organizations and institutions that supported the 2006 immigrant rights efforts. These included labor unions, worker centers, community-based organizations, and youth organizing and activist groups. The Catholic Church, at this time, was very active in supporting immigrant rights. 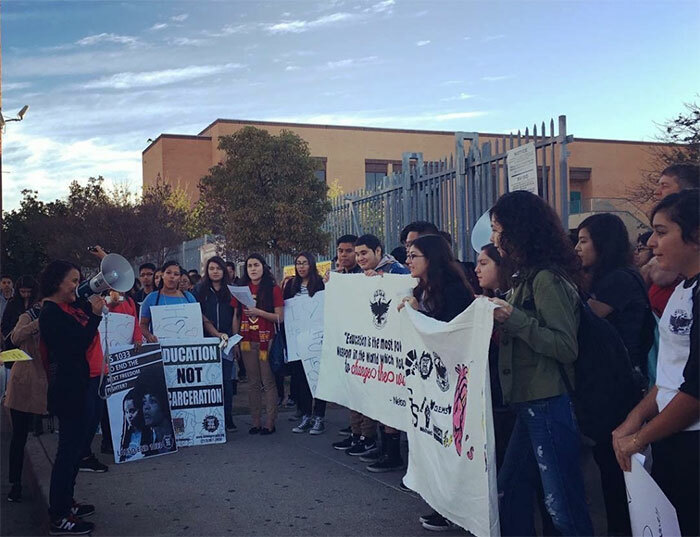 Spanish language media was very supportive, and in some places, educators were also supportive of students in the walkouts. This infrastructure helped guide the mobilizations, but it also helped empower people and help them realize that they do have the right to stand in opposition to the Sensenbrenner Bill. 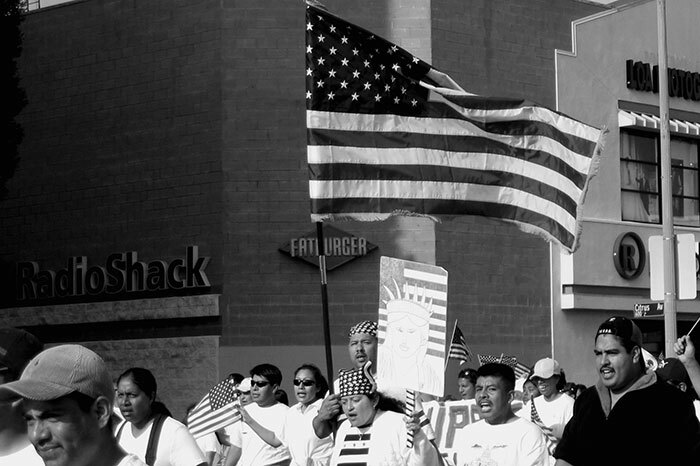 In 2006, we saw the largest immigrant rights marches the US has ever seen—some of the largest political mobilizations in our recent history, in fact, up until earlier this year. What do you see as the legacy of those 2006 marches? I think it made very clear what the possibilities were for mass mobilization, and how such actions can have an impact on federal policy. I think many immigrants and their children realized that they do have the power to speak up, and potentially, to stop punitive policies. For some young people who participated in those marches, it was a moment of political awakening. To actually stand up and protest the government was a big deal. To assert a form of participatory citizenship, even though they or their family members were or are denied legal citizenship, was a way that they came to understand that they do have political power. For those young people who were mobilizing their peers, that was especially empowering, because they realized their potential to influence others. Ivan is one example. While attending Belmont High School in LA, he joined Wise Up!, a high school organizing group run by CHIRLA (the Coalition for Humane Immigrant Rights of Los Angeles). As part of the group, Ivan made a number of presentations about the immigrant rights marches and urged others to stand up for their rights. At the time, he had no idea that he was going to be able to help mobilize hundreds of students at Belmont High School. The 2006 immigrant rights marches helped him realize what he could do as an organizer. Ten years later, Ivan is running a large phone bank that is mobilizing voters across the State of California, reminding them that they have the right and the responsibility to vote during the 2016 general election. Within a matter of days, Ivan and his bilingual team of canvassers gained commitments to vote from over 5,000 Latinx millennial voters. In your research, you look at different groups of young people who grew up in immigrant families. You suggest that some of those young people participate modestly in civic life, while some participate at higher levels, and some participate at even higher levels still. What differentiates these pathways of young people from immigrant families? Much of the political literature informs us that parents tend to play an important role in politicizing their children, and orienting them towards voting and other forms of civic and political engagement. In immigrant families, young people are less likely than those in non-immigrant families to get that political orientation to US politics, in part because their parents were not educated in this system. Not only do they come from another country, but in some places they faced political repression as well. So, US politics is not discussed as often around the dinner table in immigrant families. On average, young people from immigrant families tend to be a little less politically and civically engaged than similar peers. Yet, it is important to recognize that there is also a group of young people who are the children of immigrants and who do become involved in school-based organizations—community service, student government, other organizations that provide young people with civic skills—although these don’t necessarily directly engage students in politics. Those young people tend to resemble their peers from non-immigrant families, in terms of their civic and political participation. School based, and other community, non-political organizations play an important role in orienting a proportion of children of immigrants to civic life. We have to recognize the importance of community service groups, student government, and other similar student organizations in supporting the civic development of some young people, including those that hail from immigrant families. There is also a smaller proportion of young people who become highly engaged in their communities through youth organizing and other activist groups, such as Human Rights Watch, or perhaps even through their high school. These young people tend to receive a political education that exposes them to a more complex understanding of the issues facing their communities. They learn how to understand the economic, social, and political causes of poverty and other problems they see around them. They may learn about educational inequalities and injustices, local health issues, environmental justice, racial injustice, immigrants’ rights, LGBTQ rights, and/or other issues. This political education, in addition to giving young people the opportunity to engage in political action around changing local government policies, becomes a motivating force that enables them to become more civically and politically engaged later in life. Young people, including the children of immigrants, who acquire such civic and political experiences during adolescence, tend to exhibit high levels of civic and political engagement by early adulthood. Can you tell us a little more about how youth organizing groups work? What is it that they do to try to affect change? These youth organizing groups tend to be 501(c)(3) organizations that are run and staffed by young people of color who’ve come from the very communities, or similar communities, in which they are working in. They meet young people after school or during lunchtime, occasionally on weekends, to engage them in a political education and walk them through the different stages of a campaign. They try to address concerns that are close to the hearts and to the lives of the young people. To be clear, youth organizing groups don’t just serve the children of immigrants; they serve other low-income young people as well. These might be African-American youth or third or fourth generation Latino youth, or the children of refugees. They tend to be located in low-income communities, and here in California, that primarily means communities of color. Along with immigrants’ rights, they focus on a variety of issues: educational justice, police brutality, environmental justice, health inequalities or access to healthy food, LGBTQ rights, and increasingly, groups like AYPAL are starting to do work around gentrification. For groups whose participants are mostly high school age—and thus ineligible to vote either because of their age or their citizenship status—how do they affect political change? 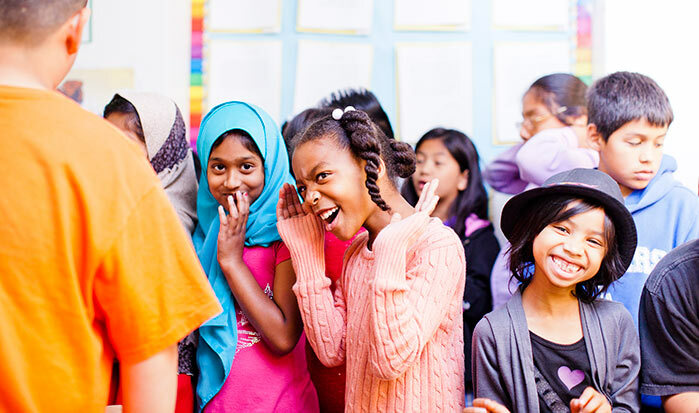 They affect political change by educating and mobilizing their peers, and sometimes their teachers or fellow community members, helping to identify problems in their communities and offer solutions. They also meet with local elected officials to propose, negotiate, or even demand solutions to the problems that they are facing. At the end of the day they’re trying to change policy. 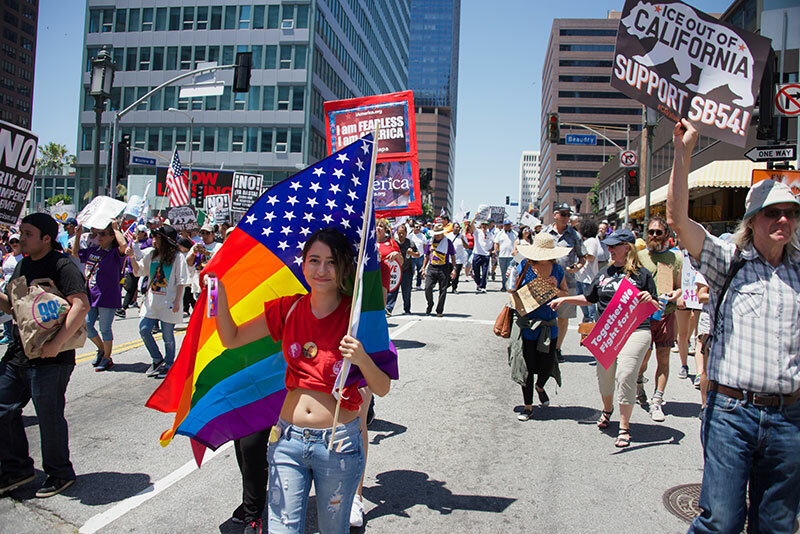 Here in California, many groups can claim a range of victories because young people have effectively mobilized and advocated for the wellbeing of their communities. What’s important to realize, too, is that these efforts sometimes occur in coalition with other groups. One important thing that young people learn through this process is that they need to build allies. They find power when working in coalition with other groups. And these are not necessarily all youth groups that they can partner with to help push for change. The other thing that they have done, especially more recently, is educate about the importance of voting and electing people who are accountable to their communities. They’re pretty good about doing this in non-partisan ways. For example, RYSE in Richmond hosts candidate forums that urge participants to make decisions on their own by learning more about their options. Through these candidate forums and other educational events, young people can be better informed and exercise their voice. Can you describe for us some ways that youth organizing groups in California have actually affected policy change? Well, in California we’ve documented approximately 50 campaign wins and milestones between 2014-2016 among groups in 14 low-income communities that are part of the Building Healthy Communities initiative, funded by The California Endowment. 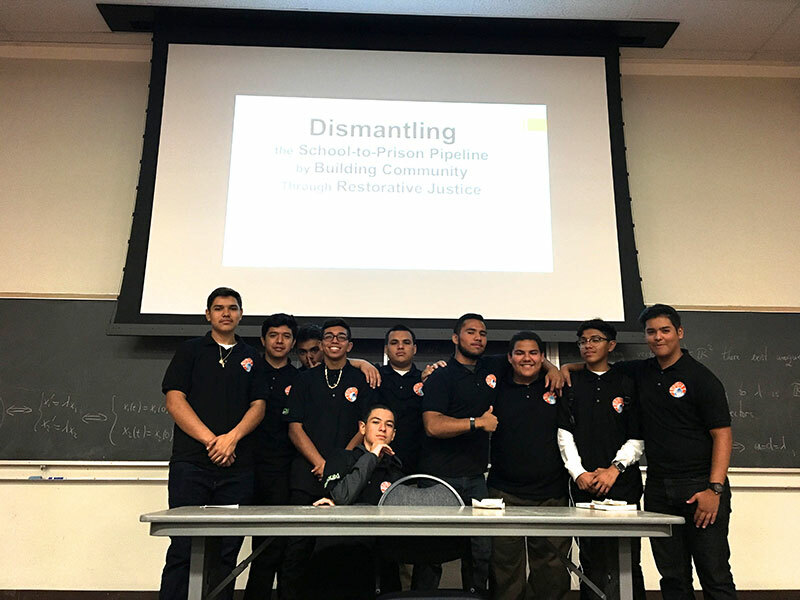 In Los Angeles, Santa Ana, Fresno, Long Beach, Merced, Oakland, San Diego, and other communities, young people—often in coalition with other groups—successfully advocated for investments in school-based restorative justice programs that aim to heal harms caused by infractions, while reducing suspensions and expulsions. 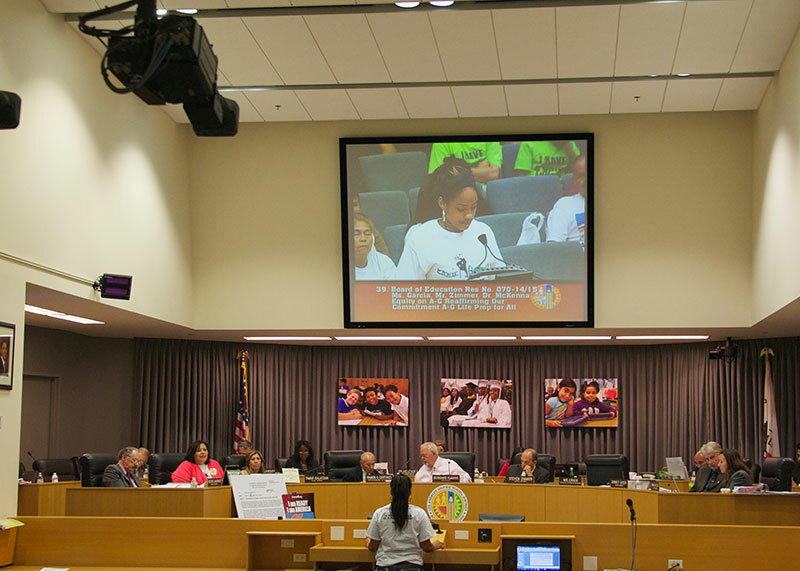 In Los Angeles and Long Beach, youth won commitments for the expansion of health services to be offered at school-based Wellness Centers. In San Diego, they’ve made lunch menus healthier and responsive to the dietary needs of different groups, including Muslim communities. Importantly, young people in Fresno and Coachella played a role in pushing Health For All to increase access to health services for undocumented youth and adults. 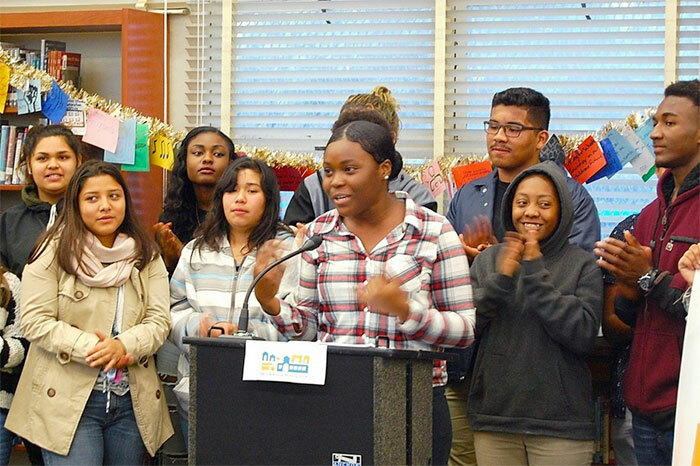 Meanwhile, in Oakland, among many other victories, young people helped shape the implementation of a pilot program that provides free bus passes for low-income youth. For a young person who participates in these youth organizing groups in a deep way, what do you think they learn that another young person who goes through high school without this sort of engagement does not? Importantly, young people in youth organizing groups typically learn about the structural and political causes of problems they see in their community, and learn not to simply blame individuals for the hardships they might face. In doing so, they come to understand that those hardships don’t need to exist, and that changing policies and practices can potentially move their communities in a better direction. Through direct experience in civic action, they often feel like they can have a voice in affecting some of those changes. Young people in youth organizing groups tend to learn more about who their elected officials are, the roles that they play, and how they might be able to influence them. 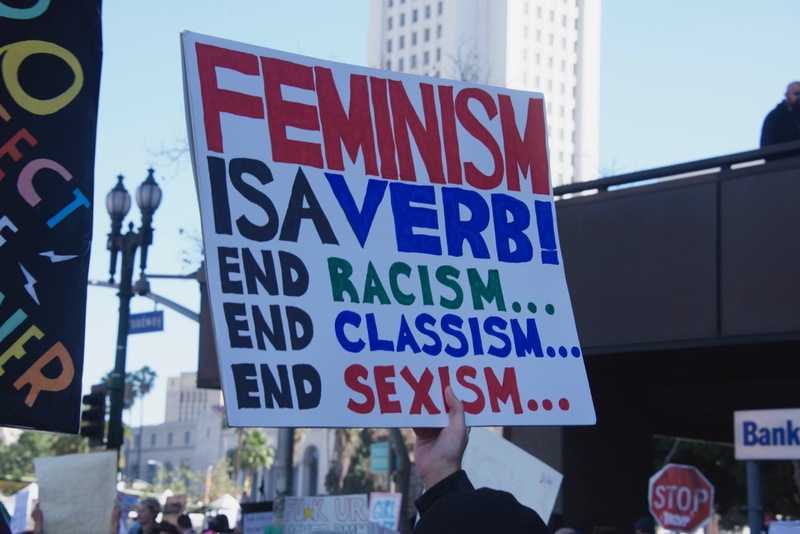 Moreover, they often learn some of the historic ways in which women, people of color, and LGBTQ people have fought for social change. 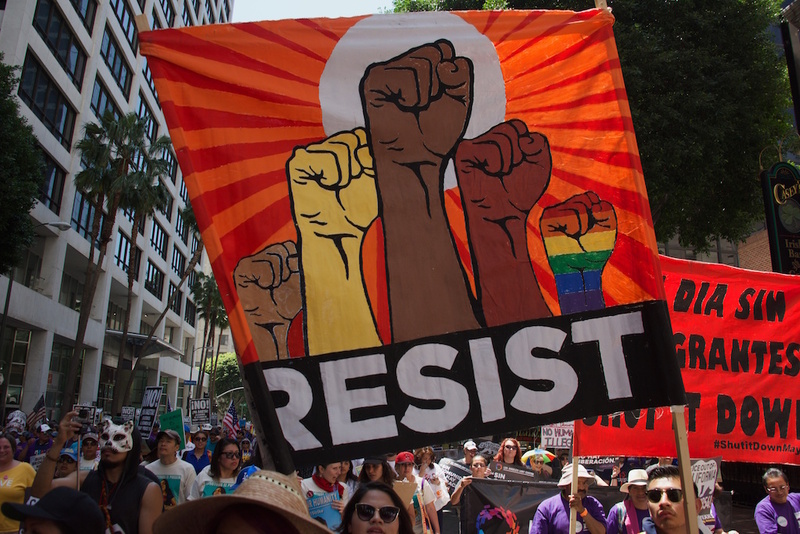 Some youth organizing groups teach their members about connections amongst the struggles of different non-White racial groups, immigrants, refugees, LGBTQ individuals, and other marginalized communities, and about the importance of developing alliances across differences. More recently, I would say, young people are also acquiring strategies for self-care and healing, in part thanks to the pioneering work of groups like MILPA and the Urban Peace Movement, as well as the guidance of respected elders who are sharing traditional healing practices. Today, young organizers may be learning to take better care of their wellbeing in ways that perhaps earlier generations of organizers did not. But they’re also learning practical, problem-solving strategies. What some of our research has shown is that young people who go through youth organizing have higher retention rates in college, and part of that has to do with their having learned how to take advantage of resources that they are entitled to, such as tutoring and extra financial aid. They learn to advocate for themselves and figure out creative ways to address challenges that they might encounter as low-income, first generation college students. It seems like one of the themes that you have been speaking to is the way that youth organizing helps young people reconceptualize the relationships between individuals, groups, and broader society. Through this, young people push back against the idea that individuals are simply isolated actors, and begin to see a different narrative with broad, interconnected structures that affect people and through which people can affect change by coming together. Importantly, they also learn that to affect change, you need to educate and work with other people, and you need to mobilize them. The change does not occur because one individual tries to make a difference—it’s about the collective making a difference. How does that come about? What’s the curriculum, so to speak, that allows young people to reconceptualize and re-envision their sense of themselves, their relationship to others, and their relationship to broader structures? Youth organizing groups typically train their members on how to educate their peers about problems and issues. This can enable a 15 or 16-year-old to make a presentation in front of their peers, to try to convince them that not only is there a problem that needs to be addressed, but also that they’ve got a solution, and they could all help move it forward. Peer-to-peer education is an important part of what members of youth organizing groups typically learn to do. At the same time, they often learn to mobilize their peers and get them on board to support a campaign. Change can occur when many people are demanding that it happens. Young people may not be eligible to vote, but the mobilization that they’re able to produce at the school board meeting or the county meeting or the parks and rec hearing really shows elected officials that there’s enough people that want a certain change. It also shows elected officials that they need to be held accountable to community members, including those that cannot vote because of their age or citizenship status. How do opportunities for reflection fit in with the sort of learning young people receive in the context of youth organizing? There’s typically a bit of debriefing that goes on in these spaces, so at the end of meetings they get to reflect on their campaign or other efforts, what they did well, and what they need to do differently. They learn to critique their own organizing process, and they learn how they might improve upon it for the future. Youth organizing has proven to be a structure through which pretty dramatic policy changes emerge, and through which young people develop critical, strategic, and substantive understandings that have a powerful effect on their civic capacities. To what extent does this model shed light or provide insights as to what K-12 educators could be doing in their own schools? Our research team has interviewed many young people who report that they’ve learned things in their youth organizing groups that they don’t learn at school. 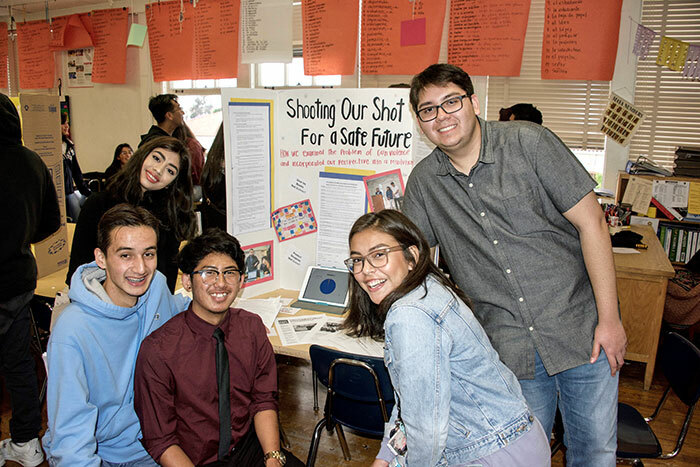 They learn things about their community, about their ethnic or racial group, gender identity and equity, and/or LGBTQ issues that are not typically taught in the high school curriculum. They also learn about how people in their ethnic group, often working in coalition with other ethnic or racial groups, have made a difference. In other words, adolescents become exposed to movements for social justice that are not always taught in school. It can be empowering for an adolescent to learn about how everyday people like themselves have made a difference. Additionally, youth organizing groups tend to do a better job than high schools in providing young people with an understanding of how economic structures, policies, and the histories of oppression and inequality have shaped local community problems. There are many groups in California who do this political education well. Take, for example, the work of KGA (Khmer Girls in Action) that primarily organizes Cambodian youth who have been highly neglected by educational and other institutions, and whose experiences are not typically reflected in the academic school curriculum. 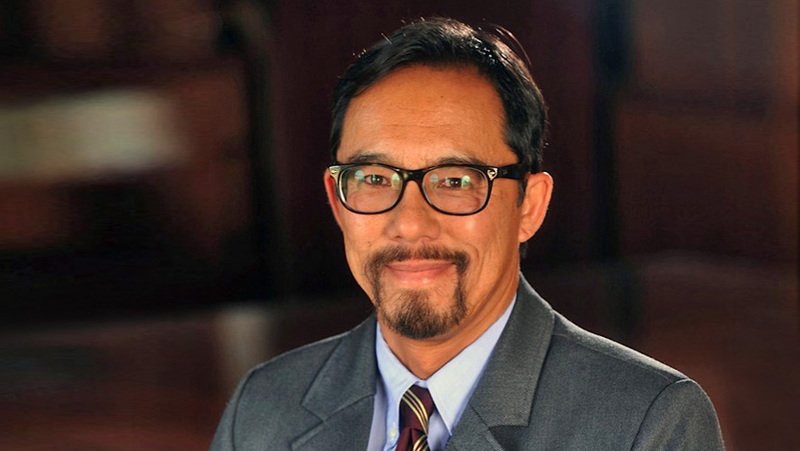 This group teaches its members relevant Southeast Asian and Southeast Asian-American history and cultural arts, all while providing them with political education that helps them make sense of concerns that they experience in their local community in Long Beach. Moreover, KGA aims to inculcate its members in the centrality of multiracial alliances in the struggle for social justice. High schools could learn from youth organizing groups like KGA on how to make academic coursework and the arts more relevant to students. 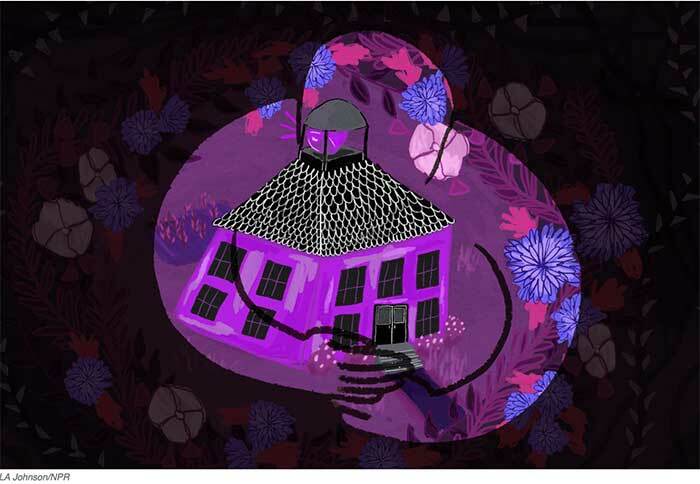 Additionally, teacher preparation programs could generally do a better job in training teachers on how to present a curriculum that is attentive to social inequality and students’ ethnic and other identities. I recently heard a conference presentation about a civics education program in which middle school students researched community problems and then delivered presentations to one another on possible solutions. When the students were asked why it was a powerful experience for them, nearly each one talked about getting to listen to other students talk about what mattered to them. It struck me that, if it were their teacher who had given the same lessons, it wouldn’t have had that same force. To what extent is part of the power of youth organizing being in this learning relationship with other young people? I think it’s absolutely critical, in at least two ways: one, it enables the young person making the presentation to gain confidence and also broaden standard civic skills, including sharing their thoughts and ideas and interests with their peers. At the same time, for those in the audience or those who are learning to find their own voice, it’s inspiring to see somebody their age (or near their age) taking on a leadership role, and it makes it seem like it’s possible. A community leadership position then becomes something they could aspire to themselves. I think this is important because often times, the teachers don’t come from the same communities as the young person. So, the possibilities of leadership seem more real when they see their peers in those roles. An organization that we’ve worked with, InnerCity Struggle, often talks about the idea that any young person who walks through their doors is a potential executive director. The sense in which these youth organizing groups are deeply embedded community based organizations seems like a powerful model for schools to think about, too. It would be great if schools also thought about their students as potential future teachers and administrators. Building local leadership and capacity contributes to a density in social relationships, and density in accountability. Investing in young people so that they can become future leaders of local institutions could help strengthen communities. Do youth organizing groups build ties across generations as well? Yes, they do, in various ways. Intra-generational ties occur through the coalitions that are built within and among different organizations. 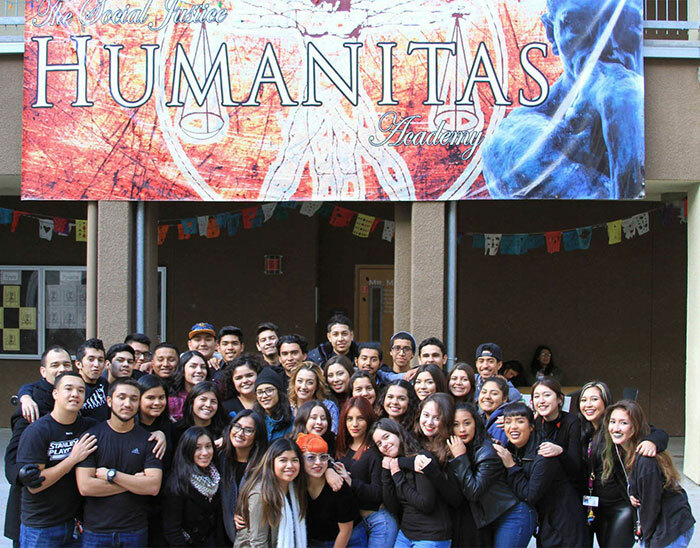 Groups like ICUC (Inland Congregations United for Change), MidCity CAN (Community Advocacy Network) in San Diego, the Delores Huerta Foundation based in Bakersfield, and ICS (InnerCity Struggle), CoCo (Community Coalition), and CHIRLA in LA have both youth and adult organizing programs that enable cross-generational collaboration. At the same time, many youth groups, whether or not they have adult memberships, tend to partner with adult social justice organizations, including labor unions, other grassroots organizing groups, and advocacy organizations with adult memberships. These coalitions open up the possibilities for relationships that extend well after the young person has graduated from high school. 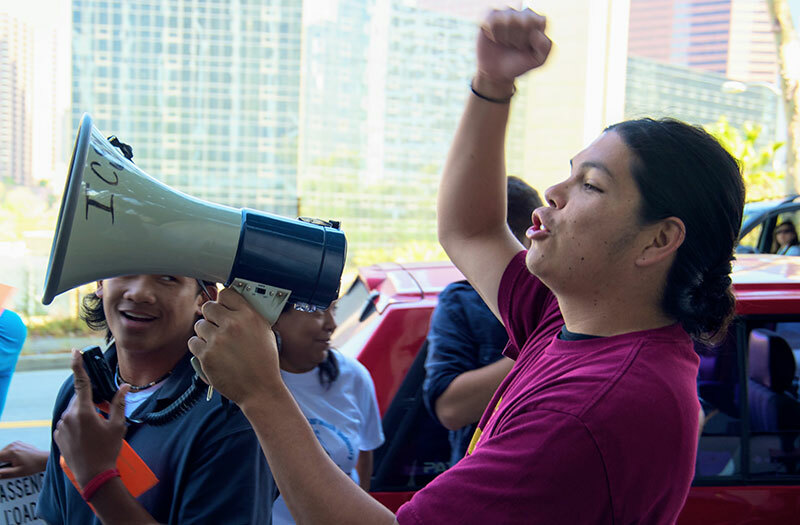 Our research shows that a number of youth organizing alumni assume positions in other adult social and civic organizations, including labor unions and other social justice advocacy groups. Let me bring us to our present moment. During the last several months, political change has led to dramatically increased vulnerability for many, particularly for those in immigrant communities. To what extent do you see youth organizing groups responding to these new vulnerabilities, within this new political context? Here in California, we see an emerging youth platform that advances a range of social justice causes. 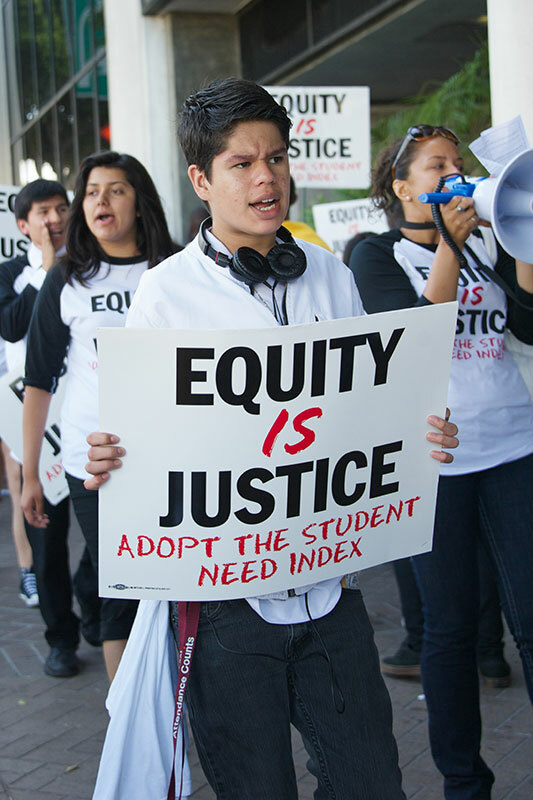 This platform was set in motion prior to the 2016 general election, in part thanks to the investments of The California Endowment which has supported the Movement Strategy Center and other intermediaries in coordinating youth leadership groups from across the state in order to advance shared sets of organizing strategies and campaign agendas. I believe the uncertain political times have heightened the importance of local, regional, and statewide networking in order for youth groups to respond to political opportunities and challenges. In our state, there’s a history of such networks forming, for example, Californians for Justice which supports youth organizing in Long Beach, Fresno, San Jose, and Oakland.as well as the past experience of the California DREAM Network and other statewide undocumented youth alliances. The key, I believe, is to build up authentic youth organizing in the Central Valley where the civic infrastructure is weaker and young people face significant backlash or opposition when they try to engage in civic affairs. To return for a moment to something we discussed earlier—the three different types of engagement in civic life for youth from immigrant families. For those within the first two groups—that is, those who are not engaged whatsoever or only slightly—do you have a sense that something is changing, in terms of levels of participation or interest? I think the level of interest has increased. I think that there’s a sense of fear and alarm, and perhaps a desire to do something. What’s important is to activate these young people beyond going to a protest, and to get them connected to a civic organization that can provide concrete skills so that they can make demands. It’s great to protest, and it can make a political statement and sometimes it can affect legislation, but it just is not enough. Youth organizing is about building power for the longer term. It’s important to support these organizations so they can expand. Right now, I think they do have the potential to broaden their base and involve greater numbers of youth. Because of the dramatic shift in the political climate, people feel like something needs to be done, at least to protect their families and communities, and maybe even envision and produce a different political outcome in the next election cycle—and well beyond. Given all that and given where we are, what makes you hopeful at this moment? There’s a lot that makes me hopeful. I think people are fighting back, and a broader set of young people and older people, too, are interested in trying to do something. I’m hoping that the existing civic infrastructures, and the online and digital media structures, can harness that political interest to produce change and help ensure we elect people who are accountable to the communities they represent. 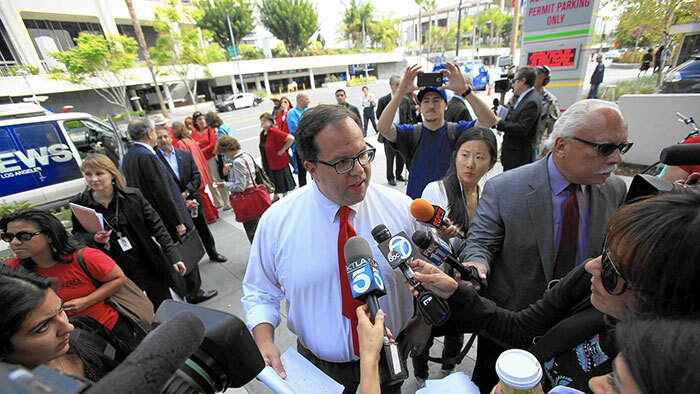 What would it mean for elected officials to be accountable? An accountable relationship is when people who are elected to office follow through on the promises they make to those who reside within their local jurisdictions. And when these elected officials fail to follow through, they should expect to have a mass of people at their door protesting and threatening their place in elected office. When people are aware of what their elected officials are doing and vote when eligible, and/or mobilize other people to vote, we create a system that better meets the needs of all residents–not just those who contribute a lot of money to political campaigns. What makes you think we are moving in that direction? I think we’re in a moment similar to that in 1994 after Proposition 187, or like in 2006 with the Sensenbrenner Bill, when people are shaken to their core and they realize that they need to do something or things could get much worse. When Proposition 187 was passed by California voters, it denied undocumented immigrants certain public services, but it also sought to deny their children access to our K-12 public schools. Although it was passed, elements of the proposition never materialized, as they were blocked by the courts. At that time, people protested and many experienced a political awakening that inspired a lot of grassroots mobilization and grassroots organizing. I think in 2016, the entire country experienced its California Prop. 187 moment. Many people were shocked, but also awakened to this new political reality, and have become really motivated to affect change. There’s this energy and back in 1994, California was a predominantly red state. There were a lot of low-income people as well as immigrants and children of immigrants who did not vote. Because of grassroots organizing, we have shifted the political climate dramatically: Prop. 187, for example, is not even fathomable in this state anymore. In fact, where voters are supporting legislation that is pro-immigrant rights, it’s intersecting with support for policies that would help low-income people overall, and enhancing opportunities in low-income communities of color, by providing health care access and so forth. Mobilization and organizing is now occurring in ways that would have been unfathomable two decades ago. I think it’s an opportunity to start mobilizing and building consciousness among a broader public—including among residents in the Central Valley—and to start envisioning the kind of world we want to live in, and get more people to realize that they have a role to play. That prospect is enough to give us all more energy moving forward. Thank you Veronica.